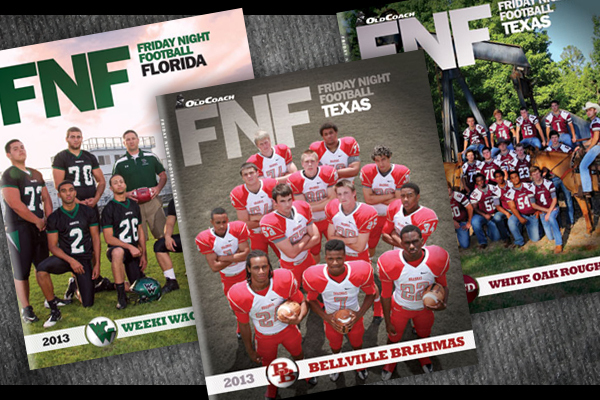 The Custom Cover Project is a unique fundraising opportunity that allows high schools across the state an opportunity to be on the cover for Friday Night Football magazine and generate up to $7,500 in fundraising revenue for each football program. Developed in 2010, the Custom Cover Project has generated hundreds of thousands of dollars for participating programs. In 2014, the Custom Cover Project produced unbelievable results. Across six states (Florida, Texas, Alabama, Georgia, North Carolina) 37 schools participated in the program with 27 of those schools earning custom covers. In total the program generated $162,000 for participating schools and football programs this year. To learn more about the custom cover program, please visit customcoverproject.com.